What makes a good Science Gallery Lab Detroit open call proposal? We are especially looking for both existing and new projects that match Science Gallery Lab Detroit’s three core aims: to Connect, Participate, and Surprise. We invite scientific and artistic proposals for exhibits as well as ideas for public programming. We love works that invite visitors to participate, create and discuss. Great projects bring together art and science, in a creative way. We generally avoid science that is evaluating art or art that didactically illustrates science. However, a true connection to the theme is a must. We encourage you to take a moment to consider fit before committing your valuable time and energy to the application. Collaborations are great! Are you a cryptographer working with a cellist? Maybe you’re a comic book illustrator artist thinking of submitting a proposal with an immunologist? If you’re a marine geologist looking for a cheesemonger to work with, we might know just the person — get in touch and we might be able to help. Proposals may be new or existing works, and will be funded up to a maximum budget of $3,300, which should include all artist fees, materials, equipment, shipping, travel, etc. Please note that these are maximum amounts and we enthusiastically welcome proposals that come in below the maximum budget. I am personally interested in the work you describe. I am a photographer, and a composer, and can imagine many ways to connect creating works, or an exhibit. to the scientific work you describe. I also should be able to help find other artists, if it seems that might work better. I am an MSU faculty member, and know various folks working in domains not too far removed from those you descibe (ie. Bjorn Hamberger, Beronda Montgomery, David Kramer, etc.) Please get in touch, and we can work out a strategy for going foward with a proposal. whom you are working, directly, at this point, that might be more productive. Ho letto alcuni argomenti e sarei interessato a partecipare ... sono disponibile - Lavoro nel settore teatrale (comunicazione corporea) e mi piace l'argomento dell'acqua associato alla caduta oppure all'evaporazione. Preferisco le istallazioni interattive con sonorità liquida. È necessario formulare un concetto e fornire un piano per una fiera di lavoro che può creare un'esperienza per i visitatori. Si prega di prendere un guardare i dettagli della chiamata aperta: https://opencall.sciencegallery.com/depth e poi presentare una proposta. Sono un Perfoming Art Designer ... mi piacerebbe collaborare a questo progetto sull'acqua. Attualmente vivo in Italia (Venezia) , l'idea di lavorare sull'acqua come pioggia, caduta dell'acqua o evaporazione, mi sembra interessante. Mi piace trovare soluzioni per spettacoli interattivi teatrali; in particolare io lavoro sulla comunicazione corporea, danza teatrale e sonorità naturali. In which city and which building will exhibition be installed? Can we propose work for both indoor and outdoor sites? It will be in Detroit Michigan. We are still looking at various buildings and sites. Indoor will certainly work, and it is likely we can accomodate outdoor installations, depending on the site we finally choose, and whether it would be installed for the full duration of the show, or a shorter period of time. No. I will check why there is no box. We are very much interested in films, and had several video installations in our first exhibit, and a film showing as part of our performance series. That is a slip, and I appreciate you pointing it out. Please do submit, as that sounds like quite a fascinating project. Thanks for your reply Mark. I'll submit it using the instalation box! I am not sure why your inquiry was never answered. The lead curator who had primary responsibility for communicating with submitters is no longer with Science Gallery Lab Detroit. Still, I apologize for the lack of response. It seems it could become a fascinating idea for the current open call. I hope you will consider resubmitting. Yes, this subject and medium looks like a good fit with the open call for Depth. You can find the specifics under the Open Call tab for Depth, the open call originating in the Science Gallery Lab Detroit. One thing youi might think about is how this work would be presented to people who attend, and what kind of experience you would like the people to have. Science gallery does do some work that involves hanging works on walls, but also encourages submitters to think about participative or interactive forms of engaging the public in the work. You are, of course, most welcome! You indicate that you have limited spaces- what size wall space would there be for multi video projections ? on scaling down you could accept, in the proposal. We can negotiate that, once we know the actual space. Hello! I wanted to know if I could propose an installation that includes the growth of living materials such as cyanobacteria or other microalgal cultures in flasks or other containers of water? The project I would like to propose focuses on the growth of different strains of cyanobacteria - looking towards them as ancient organisms that created our atmosphere and all oxygen dependent life. In the wake of them now appearing as harmful algal blooms in inland water bodies with their unmitigated growth prompted by human development and pollution, this project hopes to reposition our relationship to these ancient organisms and our impact on the ecosystems they inhabit. I would like to show the beauty of their different forms and create an intimacy between them and the viewer: showcasing the growth of these organisms over time in water, under a microscope (live feed, or prerecorded videos of them under a microscope), and/or potentially sonifying them. Let me know if something like what I'm proposing is possible, and if you are interested! Actually, I just we read an article about cyanobacteria, so I'm chuffed I actually know a bit. It sounds like a fascinating proposal, especially the idea of sonifying them. I think it is possible, and there may be logistical challenges, but we might be able to help meet those challenges. I am interested in applying for the submission but would like to know what space is available as I would like to submit a multi-video piece which would be projected at a large scale. Well of course there are always limits, but what I would suggest is to submit a proposal that presents the maximal presentation, and that outlines what might be entailed in scaling it down, and what the limits are on that: in other words, how scaled down could you accept. I'm a visual artist from the Netherlands and just finished a photographic project on plastic pollution of the oceans. You offer as a potential theme 'impacts of water pollution on the environment'. My question is if a project about plastic pollution could be of interest for your exhibition. I would say yes. To the extent that plastic pollution is having a major impact on the quality and health of water, and the ecosystem it is part of, the impact of plastic is huge. We are looking at water involved in growing food, and water involved in creating consumer products, like "pre-faded blue jeans" etc. So that seems like it could potentially be a very solid address to the theme. In which months do artists live and work in the art residence? Do we need to spend all three months in the art residence or we can leave the art residence for a while? Can you provide us with a place to live, pay the way for both and pay the per diem? Is the artist's fee included in the amount $ 3,300? When will it be known whether our application for participation in your art residence passed? This is not an arts residency, but an exhibtion running from June till September. No artists are in residence for the course of the exhibtion, and we make not provisions for resideny. The fee covers production costs and travel to the opening, or a visit in the course of the exhibition. All decisions will be made by early December, except for a rew commissions. What is the state of the floor itself in the venue being used? Would it be conducive to an exhibit adhered to the floor by the means of say, vinyl decals? What is the floor of the building being used like? If an exhibit were to consist of infographic-styled commercial floor vinyl decals, would this be an issue? in which you could install infographic-styled commercial floor vinyl decals. Will there be any projectors, postuments and spot lights available? Or renting those I should included in porposal art budget? some spot lights, depending on the number. I'm not sure whatr postuments are, but guessing it's the Polish word for plinth, or pedestal, and if so, yes, we have them. The idea that I would like to submit to this call involves creating micro-habitats composed of living plants and aquatic insects. I just wanted to make sure: is there any rule against having living animals / plants in Science Gallery exhibitions? In my proposal I will outline how I plan to keep these organisms healthy and thriving during the entirety of the project. No special rules. There may be governmental regulations about shipping either across borders. It would be good to check those. Other than treating both as you mention, and being able to take care of them with a reasonable amount of attention, there should not be any constraints. Hello: You could certainly subbmit a proposal. It would be good to think of how you would display the work to the visiting public. Would it only be in book form, or could you have panels on the wall, etc? At this point, the most important thing is the actual concept and proposal. Supporting documentation can arrive after the deadline, but the proposal should be complete. Sakit Mengi (Asma) dapat bermula melalui bahan kimia dan bakteri yang tersembunyi dalam debu rumah tangga, berdasarkan investigasi, berskala besar oleh para periset di Institut Nasional Ilmu Kesehatan Lingkungan NIH dan Universitas Iowa. Para penyelidik mengeksplorasi lebih dari dua ribu lima ratus contoh debu dari furnitur di 831 rumah di seluruh Amerika Serikat. Orang dewasa mempunyai tahapan endotoksin (toksin pada bakteri) yang lebih tinggi di diagnosa terkena Asma, Kemungkinan gejala Asma 3x lebih besar oleh orang yang terjangkit endotoksin (toksin pada mikroba) di kamar tidur. Eksplorasi sebelumnya telah memberitahukan jika debu rumah terdapat endotoksin, Pelembap juga bisa meninggikan tahap endotoksin di rumah. Penyakit Sesak Napas (Asma) yang dikerenakan melalui alergi merupakan salah satu bentuk Asma yang wajar derita untuk orang banyak. Hal ini berjalan apabila tubuh terjangkit alergen. Alergen mengacu dengan benda asing yang meningkatkan kerentanan Anda tentang suasana situasi tertentu. Alergen membuahkan histamin yang menyebabkan infeksi dan iritasi ketika tubuh bekerja tiada henti untuk melenyapkan benda asing. Alergi menginduksi asma saat histamine mulai berproses pada saluran nafas bronkus di paru-paru sehingga sukar bagi orang untuk bernapas. Tenggorokan gatal yaitu indikasi Asma yang dipicu dari alergi . Insiden yang dilaporkan, jika asma yang berasal dari alergi sudah meningkat drastis selama bertahun tahun, alasannya tidak diketahui oleh para pengamat. Diduga disebabkan peningkatan iritasi wilayah dan polusi, kondisi alergen meningkat drastis dan sebagian orang jadi rentan tentang terserang alergi ini yang menjurus ke asma yang diinduksi alergi. Asma bisa disembuhkan oleh Obat Alami. Obat Amazon Plus merupakan Obat Tradisional yang memuat Zaitun Hydroxytyrosol, Buah Manggis, Acai Berry, Blueberry, Tomat dan Delima Merah. Obat Tradisional ini sangat Ampuh dalam meningkatkan system pernapasan dan meningkatkan kesehatan paru-paru , pada akhirnya bisa mempersingkat proses penyembuhan sakit asma. http://bit.ly/2wAyL85 Sedangkan K-Muricata adalah Obat Alami yang bisa membantu mencegah dan menyembuhkan peradangan di dalam paru-paru, pada akhirnya mampu menjadikan paru-paru berfungsi kembali dengan normal. Selain itu K-Muricata juga dapat menghambat radikal bebas masuk kedalam badan karena di dalam K-Muricata terdapat antioksidan yang sangat tinggi yang terkandung di dalam daun sirsak dan buah keladi tikus. Obat, this is interesting information, but I do not see any proposal for an exhibit for Science Gallery. 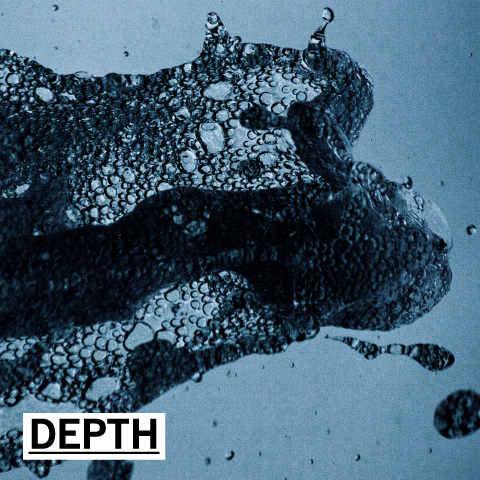 Do you have something in mind related to your post that can be an exhibit related to the theme of Depth, which is the many aspects of water? HI, would any equipment be available to borrow from the science gallery or venue? We wish to propose a new installation and would need to be there for the set up, but this would use up quite a bit of the budget (there are two of us) but the project requires several projectors. We could supply some projectors ourselves but if some projectors and a computer to control the projections were available, it would help us to complete the project within the budget. We do have some equipment, but we will not know how many projectors we have, or how many computers, until we know exactly what is needed for all the chosen works. Usually artists and scientists build some of those expenses into their budget, if possible, but we also have a budget to provide equipment for chosen works. So I would say concentrate on making a strong proposal, and if chosen, we will figure out a way to provide the needed support. Hi, I recently placed in the top 25 at ArtPrize 10 in Grand Rapids for my 3D sculpture Liquefied! (http://www.artprize.org/67060) and I saw information for Depth on the ArtPrize website. My sculpture signifies the importance of connecting with nature by using the inherent energy of water as a focus during meditation. Studies have shown that meditation can reduce high blood pressure, reduce chronic pain, and help with anxiety and panic disorders, I was wondering if a proposal for an interactive exhibit focusing on water and meditation would be considered for the Depth exhibition? for what the proposal should include, and guidelines for budget, etc. I am proposing a project that involves a sonic component. I would like to provide several sound samples in my application. I see there is a place to submit images, but not short sound files. What would be the easiest way to include sounds in our application for reviewers to access? Yes, you are right. You can send sounds via Dropbox, or WeTransfer, or any other readily availble file transfer software- to sullivan@msu.edu. I will make them available to the reviewers. Great! I just sent you an e-mail. Thank you! Hi. I am interested in proposing a piece which invites the public to tactilly experiment with liquid crystal filled glass panes screens, allowing them to understand the connection between liquid media and the flat screen technology which enables all our computer screens around the world. This a focus on the magic of liquid crystal media, but not water per se. But it does fit into the grey area category of the various phases of water (vapor/water/solid). Wondering if that sounds like a good fit? Hello, do you accept proposals for sound performances? In my case, I would propose two performance nights, with at least a few days to set up on site. Yes, we do consider proposals for performances and events. Looking forward to seeing your submission! Be sure to specify what you need in terms of a site in your proposal. Yes, Alexandra, I just sent you an email responding to your note.